Cypress Lakes in Lakeland, Florida is a great community designed for active adults aged 55 and better. Residents of the community enjoy a resort-style clubhouse with a myriad of amenities. A social calendar full of clubs and activities keep homeowners physically and socially active. Situated in a great Central Florida location, active adults of the community love the tropical weather and numerous options for fun outside of the community. The 30,000 square-foot clubhouse, Big Cypress Club, is the center of all social and physical activities in Cypress Lakes. Residents can meet each other for a few card games in the craft and hobby room or attend a club that congregates in the meeting room. The library serves as a quiet place for residents to relax, check email on the computers and read from some of the newest titles. A state-of-the-art fitness center offers cardiovascular and weight-training equipment to stay fit and toned. Outside the clubhouse more great amenities await. Directly behind the clubhouse there is an outdoor resort-style pool and spa with a sundeck perfect for taking a swim or relaxing in the sun. There is also a lap pool with a spa as well on the other side of the clubhouse. Those with a competitive side can utilize the tennis courts, pickleball courts, bocce ball courts, shuffleboard courts, or horseshoe pits. Golfers love the two 18-hole golf courses in Cypress Lakes. These holes wind through the community and offer great play for all skill levels. While all of these great amenities are available to all residents in the community use of the golf course requires an extra membership. Cypress Lakes offers low-maintenance single-family homes on a resale basis. New homebuyers can select from a variety of floor plans designed with active adults in mind. These models range from 1,008 to 1,920 square feet of living space. Each model has two to three bedrooms, two bathrooms, and one carport or garage. Some models offer dens and back patios perfect for relaxing and reading the morning paper. Residents of Cypress Lakes enjoy a low-maintenance lifestyle. An annual homeowners' association (HOA) fee covers general maintenance of the community grounds, amenities, and lawn care of all homes. This gives residents the chance to enjoy all the great clubs and activities in the community. A calendar of clubs and events keeps homeowners informed on all that is happening in the community. From book clubs and card clubs to travel groups and movie nights there is surely something for everyone at Cypress Lakes. Located in Lakeland, Florida, residents of Cypress Lakes enjoy a scenic setting with endless options for entertainment and shopping. Situated close to Interstate 4, travel to other parts of Florida is a breeze. Tampa Bay is less than an hour's drive away and offers a great urban escape. Sports fans will love the professional sports teams in the area like the Tampa Bay Rays baseball team and the Tampa Bay Lighting hockey team. Many residents of Cypress Lakes take day trips to enjoy the beautiful beaches along the Gulf Coast. The numerous fresh water lakes in the Lakeland area provide great opportunities for fishing, boating, and other water sport activities. 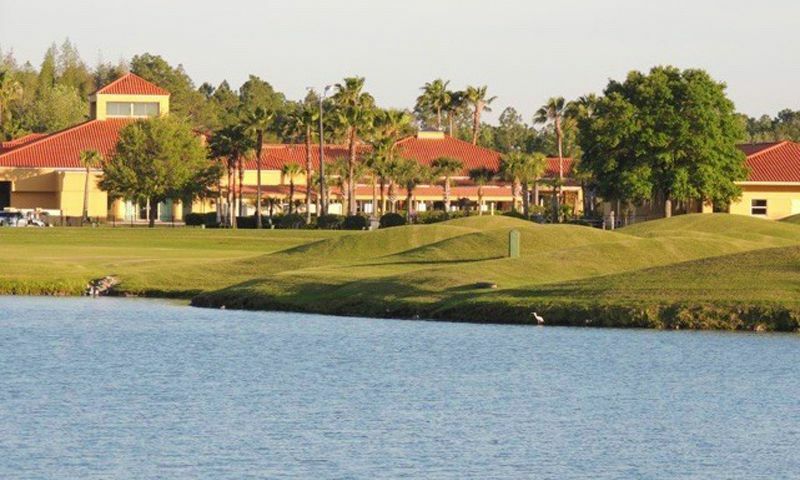 Cypress Lakes attracts active adults from across the country looking to relax in a scenic setting with an abundance of fun within a 55+ community in Polk County. While all of these great amenities are available to all residents in the community, use of the golf course requires an extra membership. Big Cypress Club - 30,000 Sq. Ft. There are plenty of activities available in Cypress Lakes. Here is a sample of some of the clubs, activities and classes offered here. These models range from 1,008 to 1,920 square feet of living space. Each model has two to three bedrooms and two bathrooms. Most homes have one carport and some models have a garage. These models offer plenty of space like porches or back patios that are perfect for relaxing and reading the morning paper. Please Note: Floor plans are not available at this time. DearCathy, Bill and I would like to thank you so very much not only for your friendship but, you professionalism in the purchase and sale of our home here in Cypress Lakes. It doesn't matter if it's the purchase of a home here, or a sale, one can always count on your honesty, and the fact that nothing is hidden. After being in the business for over 30 years it's wonderful to see a company with high standards, and setting an example for the way real estate should be handled! We cannot thank you enough!!!! You are the BEST!!!! We know you will have much success in the future!!!!! The inexpensive homes here fit my budget. The amenities are a little older but are well taken care of and updated. We've got good golf here, bocce, shuffleboard, billiards, trails, a pool, a gym, I am probably forgetting something! The neighborhood is friendly and casual. I enjoy living here very much and like having lots of social events on my calendar! 55places.com is not affiliated with the developer(s) or homeowners association of Cypress Lakes. The information you submit is distributed to a 55places.com Partner Agent, who is a licensed real estate agent. The information regarding Cypress Lakes has not been verified or approved by the developer or homeowners association. Please verify all information prior to purchasing. 55places.com is not responsible for any errors regarding the information displayed on this website.